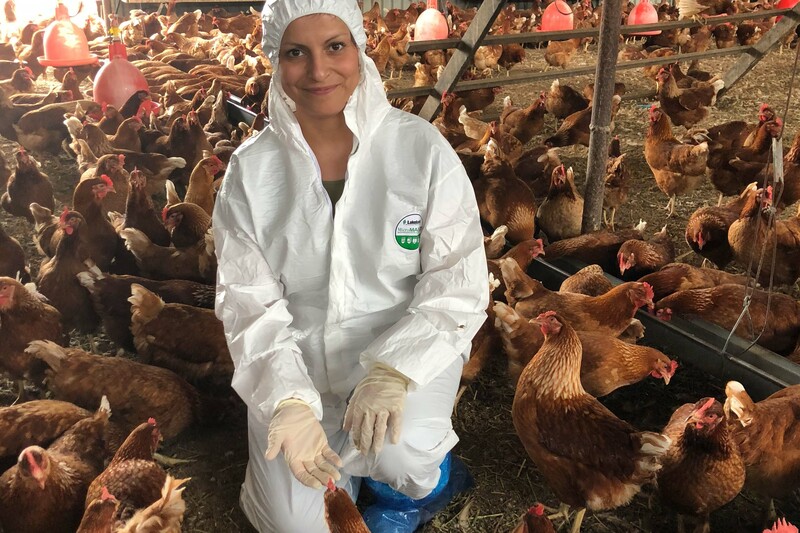 Lida’s project Clouds and Pasteurella multocida is investigating the re-emergence of the poultry disease fowl cholera and how genomic data can be used to investigate outbreaks. In addressing the growing problem, Lida has turned to international research to better understand the infection genomics field and the potential for genomic technology to provide quicker and more informative guidance to both veterinarians and farmers. According to Lida, the future of innovation in the chicken meat industry is bright, with big benefits on the horizon when it comes to preventing disease losses by means of sustainable, responsible prevention and control programs. How did you identify the need for your current project? Fowl cholera is an economically significant disease of poultry caused by Pasteurella multocida. The disease has re-emerged as the chicken meat and layer industries have moved to free range and organic production systems. Whole genome sequencing and bioinformatic analysis is now widely used to understand isolate relatedness in human nosocomial outbreaks as well as food born infectious diseases. There has been a lack of research in using genomic data to investigate fowl cholera outbreaks. This project has given us the opportunity to enable the lab to gain access to the very important tool of metagenomics in association with fowl cholera. We are now able to use metagenomic data for doing the in-silico typing of the outbreak isolates instead of conventional, more expensive PCR based methods. The main known reasons that P. multocida is escaping the protection provided by the autogenous killed vaccine, is the difference between the structure of lipopolysaccharide (LPS) of the challenge strain and the vaccine strain. LPS is the outer layer of the outer membrane of many Gram-negative bacteria including P. multocida. What inspires you to work in the chicken meat industry? My professional interest is derived by the fact that I have a degree in veterinary medicine and have been always interested in animal infectious diseases. My family has a farm and to me any kind of livestock disease is important both in terms of the family economy and animal welfare. I look at chicken meat as a healthy affordable protein source for families which can be more popular than other sources of proteins in many families and/or cultures. Tell us about some of your experiences from your recent trip to Europe? The MedVetPATHOGENS conference I participated in was on veterinary bacterial pathogens and it was merged with a biannual Pasteurellaceae meeting (the family of organisms that P. multocida belongs to). It was a great opportunity to meet professionals from around the world. A big part of the presentations were those with a focus on metagenomics, indicating we are indeed using the front line technology to understand one of the diseases affecting our meat chicken industry. It was great opportunity to attend the lectures by leaders in the infection genomics field like Julian Parkhill. In addition to that, I am always inspired and thrilled to see women’s achievements in STEM and feel very lucky to be able to attend Pascale Cossart’s lecture. Where do you see innovations in the Australian chicken meat industry coming from in the future and why? In my area of animal health, I see great potential for the use of genomic technology to provide far quicker and far more informative guidance to both veterinarians and farmers. I can see a future where there will be on-farm assays that provide information of which pathogens are present in a sample and whether currently used vaccines on that farm for those pathogens are relevant or need to be altered. These assays will provide this information in near to real time. The assays and will greatly improve the ability of the veterinarian to work with the poultry farmer to prevent disease losses by means of sustainable, responsible prevention and control programs. These assays will be very much driven by the rapid advancement in genomic technologies.